ITTA BENA, Miss.—Mississippi Valley State University is celebrating the establishment of the institution while paying tribute to its founding President and First Lady James Herbert and Augusta C. White during its 2019 Founder’s Week. This year’s celebration, held April 8-12, coincides with the University’s International Week, an annual celebration designed to highlight the international diversity of the campus and educate the community on those cultures. The theme for the week-long slate of activities is, “One Valley: Transcending the Now and Moving Globally Toward the Future.” All of the week’s events are free and open to the public. The highlight of the week is the Founder’s Day Convocation, hosted at 11 a.m. Thursday, April 11, in the Walter Roberts Auditorium of MVSU’s H.G. Carpenter Building. The speaker for this occasion will be Dr. Mary E. Crump. 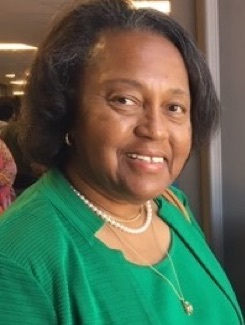 Following a successful career that spans more than 40 years, Crump retired in June 2013 from the University Mississippi Medical Center/Jackson Heart Study. 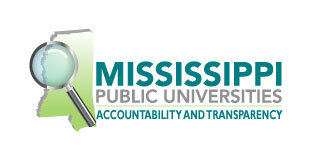 A native of Raymond, Miss., Crump attended MVSU where she received an Associate Degree in Nursing. She also received a Bachelor of Arts in Sociology from Tougaloo College; a Bachelor of Nursing from the University of Mississippi; a Master of Nursing from the University of Southern Mississippi; and a Master of Public Health and Doctorate of Public Health from Jackson State University. She has received numerous honors and awards but says her highest honor was the naming of the auditorium in MVSU’s Science and Technology Building in her honor. The Convocation will be followed by the Founder’s Day Pioneer Luncheon, hosted at 1 p.m. in Dining Hall IV of the H.M. Ivy Cafeteria. On Tuesday, April 9, events will include a Jazz Brunch with HOPE Credit Union, hosted at noon in the Royal Room of Jacob Aron Student Union. There will also be International Week Country Presentations at 11 a.m. in Room 2211 and 3 p.m. in Room 1121 of the Science and Technology Building. The day will cap off with Valley Feud with HOPE Credit Union a 4 p.m. in Vendor’s Square of the Jacob Aron Student Union. Another highlight of the week will be on Wednesday, April 10, with the Annual Founder’s Week Breakfast, hosted at 7:30 a.m. in Dining Hall IV of the H.M. Ivy Cafeteria. The speaker for this year’s breakfast is alumnus Ricky Thigpen, president and CEO of Visit Jackson. Visit Jackson is a destination marketing organization charged with attracting, promoting and facilitating events to generate positive economic impact and improve the quality of life for residents of the Capital City. Following the breakfast, at 9 a.m., there will be a gravesite ceremony memorializing Dr. and First Lady White outside of the Lois Aron Chapel. The ceremony will be held inside of the chapel as an alternative location in the case of rain. The morning’s events will conclude with” What’s Up Wednesday: Founder’s Week Edition” from noon to 2 p.m. in Vendor’s Square of the Jacob Aron Student Union. Wednesday evening, there will be an International Week Roundtable Discussion hosted from 6-7:30 p.m. in the Mary E. Crump Auditorium of the Science and Technology Building. The MVSU Symphonic Band Concert will also be hosted at 7:30 p.m. in the Walter Roberts Auditorium of the H.G. Carpenter Building. Friday’s events will also include events that were postponed on Monday due to inclement weather, including International Week Parade of Flags at 10 a.m. The parade will begin at the William Sutton Administration Building and will end at the Pavilion. At 11 a.m., Valley Pride Day will be held at the Pavilion. International Week activities will wrap up with a Cultural Display Competition & International Banquet from 6 p.m. There will also be community service projects conducted on and off campus. People interested in participating in the service project can contact Brandon Ford in Community Service Learning by email at brandon.ford@mvsu.edu. For questions or more information, contact MVSU Special Events Manager Portia Collins at (662) 254-3916 or portia.collins@mvsu.edu.